Super soft and breathable fabrication that your little one will love! 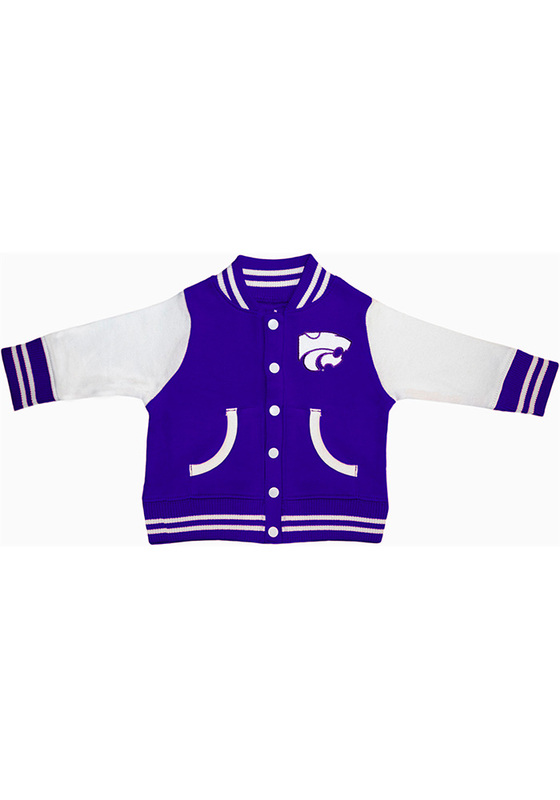 Keep your future Wildcats fan warm with this K-State Wildcats Baby Purple Varsity Light Weight Jacket! This K-State Wildcats Light Jacket features a heat sealed embroidered team graphic on right chest with contrast color sleeves and two pockets.